This small frosted fluted shade has been decorated with an etched flower and leaf pattern. 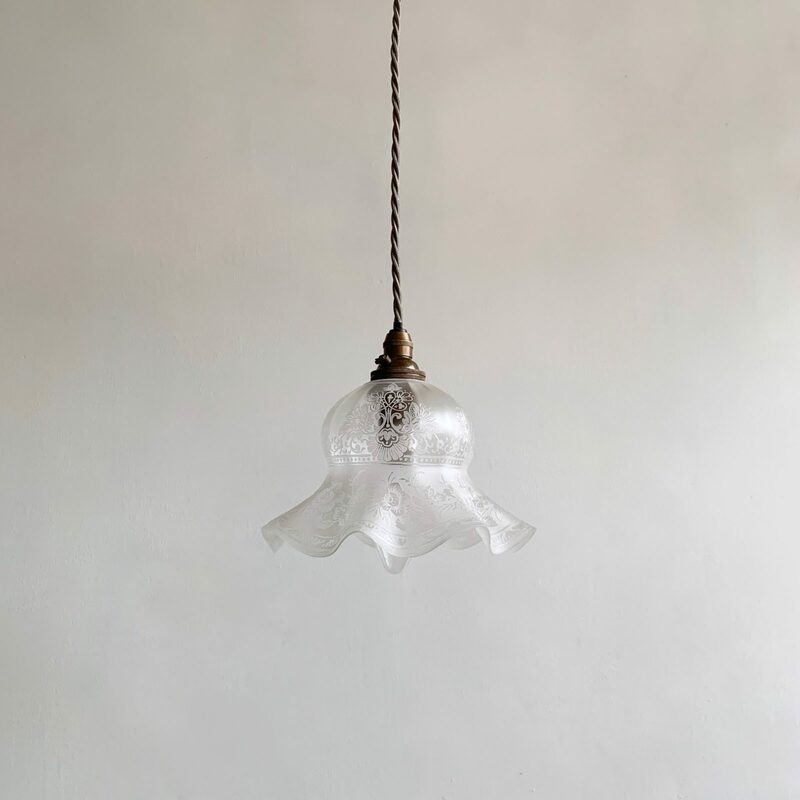 The etching provides a subtle layer of texture to the transparent glass shade which has been rewired with an antique brass finish lamp holder and grey braided flex. This shade requires one B22 lamp. The coloured flex can be changed to your preference and a matching ceiling fitting is supplied.